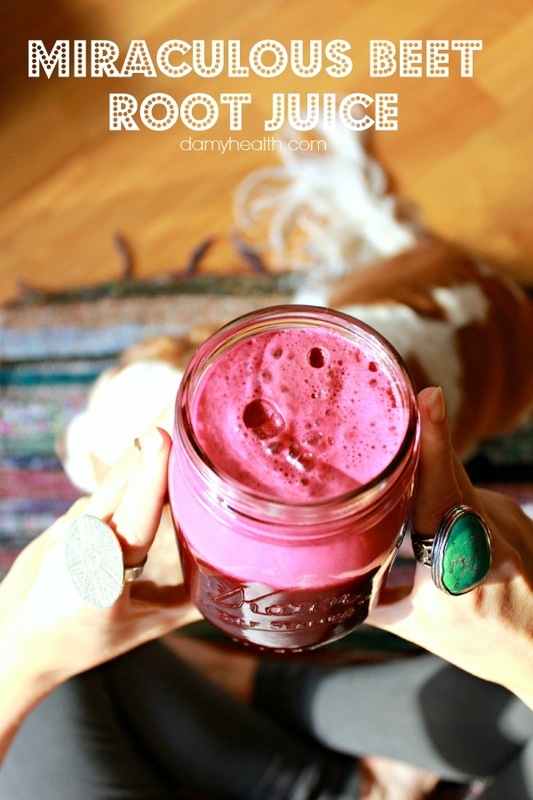 Are you drinking Beet Root Juice? Athletes are and it is improving their performance. How is it that one glass of beet root juice can improve endurance times by 1-3% and increase “time-to-exhaustion” by 16-25%? 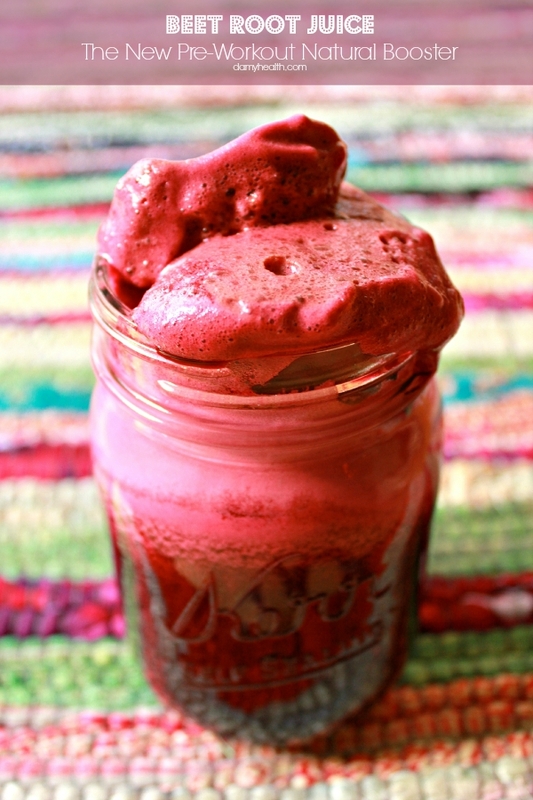 Freshly juiced beet roots are high in molecules called nitrates. In the body these molecules are converted into nitric oxide which has a significant effect on the blood vessels causing them to dilate and allow blood to flow more freely. This action improves blood flow to the muscles and organs. More blood flow to the skeletal muscles translates into better performance for athletes but what does it mean for the rest of us? 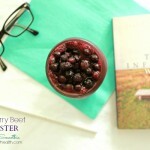 Why should we be consuming beet root juice? In a recent trial out of London it was shown that one glass of beet root juice per day can reduce blood pressure levels in those who have had no success with medications. The trial was placebo controlled and those who got “fake” beet root juice saw no benefit at all. Those who saw benefit experienced reduced blood pressure levels for 24 hours. These are exciting times in natural medicine. In fact, the people who consumed the beet root juice had an average reduction in blood pressure of 8/4 mmHg which is very close to the 9/5 mmHg average reduction by most blood pressure medications. In the same study they discovered that the people who consumed the beet root juice also saw a 20% or so improvement in blood vessel dilation capacity and their artery stiffness was reduced by around 10%. This was all after only 4 weeks. 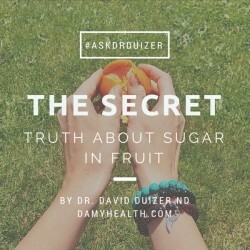 Why Should We Be Consuming Beet Root Juice? 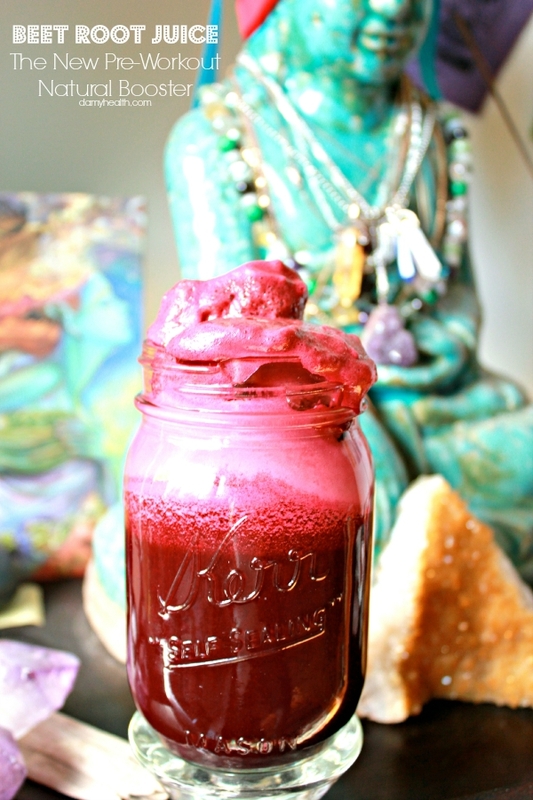 Beet root juice has incredible heart healthy benefits and improves cellular energy in the body. For Amy and I this means improved cardiovascular capacity, increased energy and elevated stamina during workouts. The antioxidant profile in beet root juice is significant and the benefits are exciting. In my practice I use beet root juice with many patients from athletes to people with hypertension to heart failure patients. In heart failure it is often difficult to get adequate blood flow to the muscles causing severe fatigue. Beet root juice improves the blood flow to the muscles and helps patients become active again. 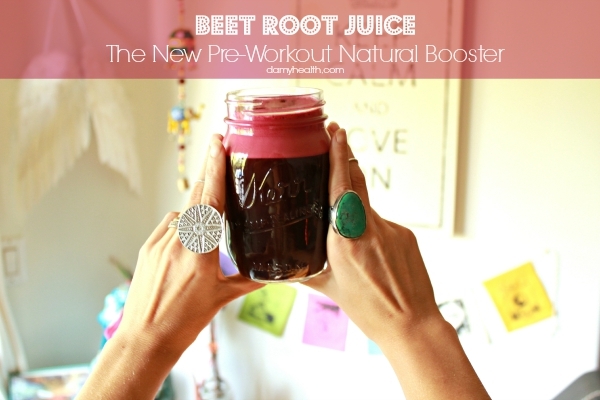 Beet root juice really is The New Pre-Workout Natural Booster. Research shows that you will be able to workout with more intensity and for a longer duration just by drinking 8 oz of beet root juice 1 hour before your workout. Please note: when you cook beets the nitrites are usually lost. 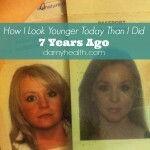 The most significant benefits have been seen with raw juicing. 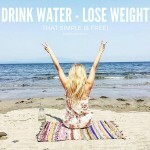 The dose used in the successful studies is one 8 oz glass per day. 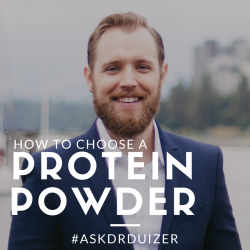 For athletes the best results are seen when consumed 1-2 hours before your event. If you want to try incorporating beet root juice into your daily routine I recommend consuming one 8 ounce glass of freshly pressed beet root juice 1 hour before your cardio or weight session. Feel free to add in your favorite greens and a piece of fruit such as an apple or pear for sweetness. 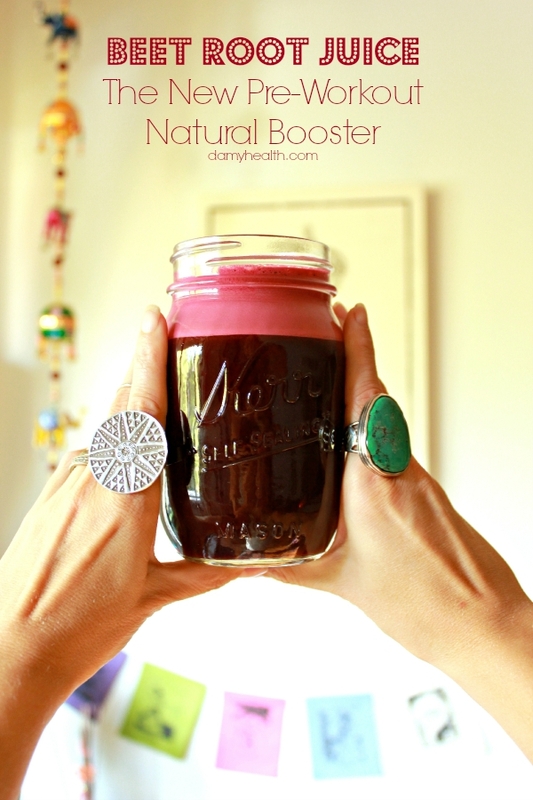 Have you tried beet root juice before? What did you experience? Let us know in the comments. 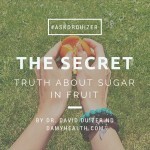 To see more of our natural health articles make sure to sign up for our weekly newsletter below! 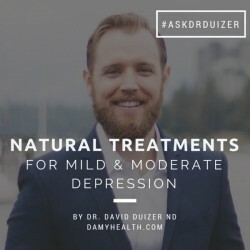 You can also email in your topics for #AskDrDuizer here. To learn more about Dr. David Duizer Click Here. 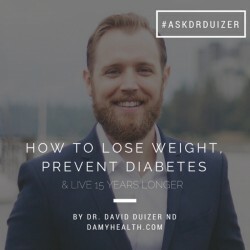 Connect with David on Twitter @drdavidduizer or Facebook.